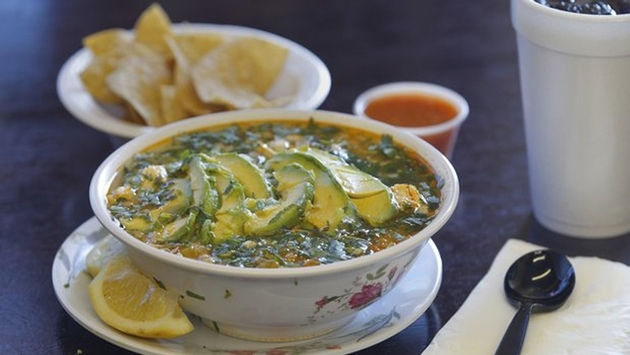 Lourdes Mexican Food just north of San Diego claims to have “The Best Chicken Soup in Town!” And they’re not lying. Everyone’s favorite comfort food, chicken soup is generally best on a cold, rainy day or times of feeling under the weather. That doesn’t mean this bowl of goodness served with rice, avocado, onions, cilantro and a healthy dose of shredded poultry—mostly white meat—can’t be enjoyed any day of the year. In fact, Lourdes’ owners, the Parra family, claim to sell some 300 bowls a day, and during the chilly months, daily bowls sold can reach nearly 1,000. The first location in Escondido opened its doors in 1988 (there are now three locations in the area), and ever since people have come from far and wide for a taste of this family’s tradition. If all this doesn’t convince you to visit Lourdes Mexican Food when traveling to the San Diego area, then nothing will.